Jewish farmers fly to The Hague to sue Hamas for harming civilians and civilian agriculture. 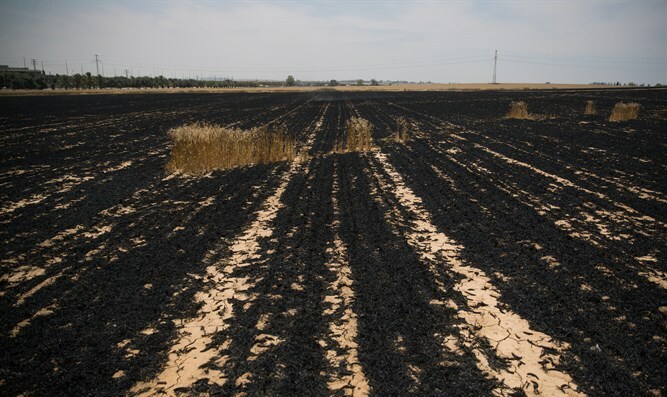 After many months of incendiary kites and mortar fire, farmers from the Gaza vicinity flew on Monday night to The Hague to file a lawsuit against Hamas with the International Criminal Court. The lawsuit, which will be submitted through the "Shurat Hadin" organization, will be on behalf of the farmers and another 50,000 people from Israel and around the world who joined the lawsuit against senior Hamas figures. The suit will focus on Hamas violations of the Rome Statute, including the use of children in warfare, use of a civilian population as human shields, attacking Israel's borders, and the burning of civilians' agricultural fields via incendiary balloons. At the same time, a special exhibition will be displayed opposite the International Court Building, documenting the damage caused by the incendiary kites and mortar attacks in the Gaza vicinity. Since March 2018, terrorists from Gaza have traumatized the people living in neighboring communities along the Gaza border, sending incendiary balloons, bullets, and rockets into Israeli territory. These four months have threatened both the Israelis' mental well-being and their livelihood. Nearly 10,000 acres of farmland have been scorched, decimating the region’s agricultural economy, and there has been a massive increase in the number of individuals experiencing and being treated for Post-Traumatic Stress Disorder (PTSD).